We are committed to providing you with excellent products and technical support from start to finish on your projects. 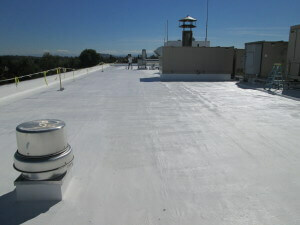 We specialize in non-toxic, low VOC, environmentally friendly, single-component, fluid-applied restoration products including roof coatings, wall coatings, penetrating densifiers and sealers and restoration detergents. Want to Reduce Maintenance Costs Associated with Concrete? SureCoat Concrete Sealers are being used successfully across the USA to repair, restore, rehabilitate, maintain and protect concrete in even the worst conditions. We’ve saved property owners millions! 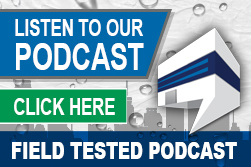 SureCoat Systems’ coating products are tested and proven through the strictest ASTM guidelines, are verified by actual Field Testing, are Energy Star and California Title 24 Compliant. SureCoat and Sure-a-thane have some of the highest published aged Solar Reflective Index (SRI) ratings listed on the Cool Roof Rating Council (CRRC). Through education and training, hands-on experience and documented case studies, we have developed restoration systems and specifications that stop water intrusion and solve construction building issues that have plagued the industry for decades. The SureCoat Roof System is the ORIGINAL Seamless Single-Ply Roof System and when installed by an Approved Contractor, has a written manufacturer’s material warranty that states it will not fail under ponding water and will remain a cool roof for the life of the system (10-20 years). You cannot buy that from any other membrane roofing or coating manufacturer but you get it for FREE with a SureCoat Roof System. We also carry a complete line of specialty products including deep penetrating sealers, water repellents and densifiers for increasing the psi in concrete, masonry and brick to block emissions and to create a vapor moisture barrier. SureCoat Systems specializes in waterproofing products for the complete building envelope. We stand behind our products and have the warranties to prove it! Whether you are a building owner, property manager, general contractor, architect or engineer, roofing or waterproofing consultant, or a large or small roofing company, our knowledgeable team is here to support you. Together we can assess your building needs and provide professional specifications that solve the issues pertaining to your project. The principals of SureCoat Systems’ have 30 years of building experience that is utilized to provide answers to all types of technical questions about your roof, wall and concrete restoration projects. Understanding building practices and the differences between SureCoat Systems and other restoration systems has helped us to develop product presentations and sales and estimating tools to assist you. Together, we can help our partners grow their business with environmentally friendly, high-performing, quality products and honest, reliable information. Call 877-823-7873 to speak with a SureCoat Systems Product Specialist today.